Elite boarding schools do not have the same exposure in the research community as poor, urban and middle class contexts. But this book is not just about boarding schools rather it is a study of adolescent peer cultures and the relationship between agency and a socio-cultural context. In telling her story the author demonstrates, through narratives and literature, the dynamic interplay of culture and development. This book is the latest in the series of books on Child Development in a Cultural Context and is a much needed contribution to the field of anthropology, psychology and gender studies. 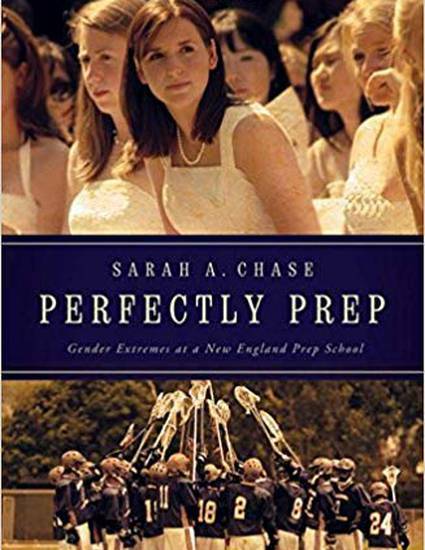 In studying the everyday lives of prep school students, Chase shows how privilege and social hierarchy is perpetuated through the cultural traditions of the elite institution. Bolton Academy, with its emphasis on social status, makes available to the young men and women who attend certain kinds of performances of femininity and masculinity. Chase allows us to see in great detail how the girls and boys but especially the girls enact, resist and negotiate their gender identity. As the students conform and resist in overt and covert performances of masculinity and femininity, they create their own culture within the ubiquitous upper class ideal of what it means to be feminine and masculine at Bolton Academy. It is reminiscent of Dorothy Holland’s work (1998) on how figured worlds become romance. The author, because she is living on campus, has easy access to the students and employs a number of methodologies, including interviews, anonymous surveys, as well as late night trips to K-Mart and casual dorm room conversations. To her credit the students tell her “she got it right” even when the administration and the parents aren’t so sure.